UNDER CONSTRUCTION but a warm welcome nonetheless. A call to change before it is too late, based in science and reason. 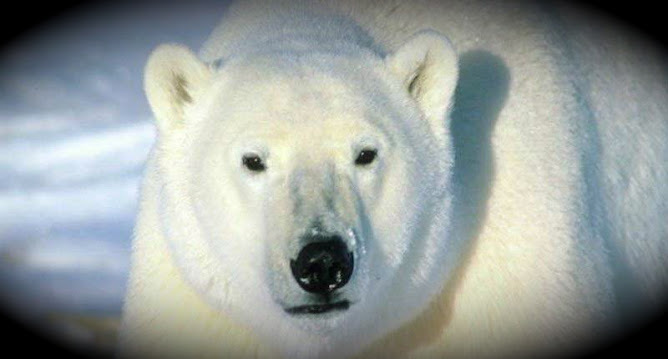 Following key developments across the board, it takes the astonishing and catastrophic meltdown of the Arctic as a key indicator to examine the science, causes, and inexcusable absence of response to imminent environmental catastrophe which will change - permanently and irreversibly - the future of everything living and yet to live on this planet. See the prologue for more. To mark the start of the United Nations Climate Change Conference in Durban, here is the venerable David Attenborough on the critical question of human induced climate change. Problems only escalate by denying them, so please don't forget - most of all in Durban. So you may also want to revisit Climate Politics in 2 minutes 20 for the low down on climate negotiations. Things have not got any better since. On either front. Why will the corporate champagne corks be flying? In the ultimate analysis, the expedient necessary to effectively address our multi-facetted ecological crisis is nothing less than a paradigm shift in the relationship between mass society at every level on the one hand, and the natural environment on the other. This is what the criminalisation of ecocide is intended to bring about, and it is primarily designed to do so by impacting directly on corporations. The requisite response calls for a complete revision of corporate values, and we can see from the extract from the book that is fully understood. Corporations would be required to act responsibly in an ecological sense in any circumstance where this legal measure might impact on them. In essence they must cease to cause 'widespread long-term and severe damage to the natural environment' or face the power of the law. Yet if we are truly honest, we must admit that corporations only do these things because they are profitable; and that they are only profitable because consumers avidly buy up more or less everything they produce quite regardless of the impacts on the environment, tragic though this unpalatable truth may be. Impacts which they are by now fully aware of but actively choose to ignore. Or discount. Or deny. You can argue about who is leading who, but ultimately ecocide and almost all other ecological destruction and degradation occurs as a result of the direct and indirect actions of consumers, who are the ultimate villains of the piece and, as the argument for criminalising ecocide goes, villains of the peace also. This explains why environmentalists have achieved so very little. Unwilling to make significant changes in their own catastrophically unsustainable lifestyles, in essence they are asking governments and other authorities to save them from themselves. Their principal strategy, employed more or less ubiquitously, it to call on governments to legislate to compel everyone else to do what they as individuals are not prepared to do of their own volition. Clearly this is politically bankrupt, and they cannot expect politicians or anyone else to take them seriously. Or at least ought not; though in practice they do, and take themselves very seriously indeed, while expecting everyone else to also. It is strikingly curious manifestation of the uniquely human, uniquely civilised capacity for self-denial. A part of the reason the environmental movement is failing so comprehensively in its central aim - assuming that be to protect the environment - is because its leadership will not articulate this essential truth to its membership for fear of alienating them, instead prioritising the flow of funds needed to persist in being ineffectual over the risks inherent in attempting to catalyse the unavoidable, but challenging and often unpalatable, changes necessary before they become impossible to deliver, as very shortly they will. By so demurring, the vicious cycle continues entirely uninterrupted. One thing we know for certain that corporations are exceptionally good at is divesting themselves of activities which cease to be profitable in very short order - as countless victims of redundancy, retrenchment and outsourcing can personally testify. Hence the ultimate purpose of criminalising ecocide is to engineer that sea change in behaviour, and in the societal attitudes from which it results. In short, it is to wean society off of its dependency on consumption, which means breaking the psychological addiction to consumerism which is ubiquitous in mass culture. It has to be, as this is the only expedient which will - or can possibly - deliver us from our fate, a fate which is currently inexorable. This change in societal values is expected to trickle down as a consequence of a change in corporate values and consequent behaviour. Clearly once corporations have to cease carrying out the activities giving rise to ecocide, the flow of the products derived from them has to stop. So society at all levels will have to go through a fairly radical transition and must learn to be content with what can be produced without causing ecocide as defined as a crime against peace - which it is hoped will approximate to what can be produced sustainably - and no more than that. In practice people would be left with no other choice. Arguably they have no other choice anyway - if it doesn't happen voluntarily, it will inevitably happen fairly soon as a result of ecological collapse and resource depletion. So far so good. What, then, is the problem? It is that what is currently proposed does not call on corporations to behave responsibly - tragically it does exactly the opposite. In trying to examine this, things start to get a little Neptunian, as one runs into something of an information vacuum. Unfortunately this has to be negotiated nevertheless, which will be done as briefly as possible. The primary source of information on what has been proposed is the Eradicating Ecocide website. This has been well designed to set out the case zippily for lay people, concentrating quite rightly on the practicalities and snappy expositions. Unfortunately what it lacks is the actual proposal submitted to the UN, which comes as something of an impediment for anyone who doesn't happen to do politics of the facebook variety and prefers to read what they are being asked to support before signing up to it. Presumably this is merely an oversight which can be swiftly corrected. Trying it from the other end, the Guardian tells us that the proposal was submitted to something called ‘the UN Law commission’, a body which unfortunately does not appear to exist either on the UN website or anywhere else searched by the google engines. One presumes the Guardian must be referring to the International Law Commission, but one draws a blank at that body's impenetrable website too. We also learn that the wording used in these definitions was adopted from the 1977 United Nations ENMOD Convention (or Convention on the Prohibition of Military or any other Hostile Use of Environmental Modification Techniques to give its full title, also known as the Environmental Modification Convention for short). Unfortunately it does not. The ENMOD Convention is a very simple document contained in just a few pages. What it does not do is define any of those terms. "In the opinion of the Turkish Government the terms ‘wide-spread’, ‘long lasting’ and ‘severe effects’ contained in the Convention need to be clearly defined. So long as this clarification is not made the Government of Turkey will be compelled to interpret itself the terms in question and consequently it reserves the right to do so as and when required. "Furthermore, the Government of Turkey believes that the difference between `military or any other hostile purposes' and `peaceful purposes' should be more clearly defined so as to prevent subjective evaluations." One does not want to make a big thing of this. The proposal to the UN and the book were put together more or less single-handedly by Polly and, rising to the urgency of our predicament, in a remarkably short period of time. In that sense it represents a magnificent achievement. If, in the course of it, a small error crept in somewhere between drafting and editing, quite possibly in an effort to make a complex (and to many, arcane and potentially terminally tedious) legal matter both comprehensible and interesting to lay readers, it matters little provided it is not material. So for the sake of argument let us proceed on the assumption that at some time during the three decades that have passed since ENMOD was drawn up in 1976, somewhere amongst all the meetings, resolutions, decisions, cases, precedents or whatever, these definitions have acquired force of law as stated, and that the means by which this has happened will be clarified in due course. In lifting the definition of the crime of ecocide straight from the ENMOD Convention, instead of giving an absolutely unequivocal signal that corporate actions which cause significant damage to the environment are absolutely unacceptable, instead exactly the opposite signal is given. What is being proposing is that corporations can quite lawfully cause equally as much ecological damage and destruction as the absolute maximum permitted to a nation in the most dire straits imaginable in wartime. Equally as much as military forces on the very brink of annihilation, surrounded by carnage and destruction on every side, fighting to defend the very existence of the state, possibly to save its peoples from all manner of atrocity, for very survival, and on the point of loosing all of that and life itself. By corporations. In peace time. Merely to provide a better return for their shareholders. Entirely lawfully. Once that is recognised, does it make sense to anybody? Is that what we wish to see? Is that the message we wish to send to governments globally? To society? To corporations? Is that the change which is going to make the decisive difference between an ecological renaissance and auto-destruction? It is best to put this in context. As a concept, criminalising ecocide is brilliant. Properly executed, it is an expedient which is critically necessary if we are to traverse the immediate future and emerge with at least some hope for what comes after. Just as important is that it is one of the very few which can be delivered under the system of governance which currently prevails, and quickly enough to stand a chance of making a meaningful difference. Other deliverable alternatives are vanishingly few. The tragedy is that the delivery that has been proposed is fatally flawed as it currently stands. It is understandable why this has happened, and it has occurred for the best of motives. For the reasons that have gone before it must be obvious that the proposal to criminalise ecocide represents a radical change in society and a radical challenge to corporate power. In proposing such a measure, it is natural to try to nuance it in such a way as to give it the best hope of reaching fruition. Under such circumstances it is a infinitely safer strategy to argue for the extension of an existing measure to new areas, than to propose an entirely new one that would undoubtedly run into serious controversy likely to jeopardise progress, if not the entire project. A second reason is that by employing law that has already been established, one avoids the risk inherent in entirely new measures of succeeding in securing their passage through the political process, but failing in the objective because the terms employed somehow do not hold up when tested in court. Nevertheless it is unavoidable to conclude that in this case, the mistake made over the definitions employed will lead to inevitable failure, because instead of giving the required signal to society and to the market, it will have exactly the opposite effect to the one intended. One does not have to be around environmental lawyers for very long for the projections to evaporate, just as they do with the medical profession. Whatever the nobility of the motives for entering this field of law may have been and may even remain, it quickly becomes apparent that in practice most environmental lawyers devote their lives to advising their corporate clients on how to maximise their negative ecological impacts whilst remaining within the letter of the law. In other words, how to maximise the ecological damage that they cause without getting prosecuted for it. It is inevitable and entirely rational that corporations should behave thus, and should employ environmental lawyers to those ends. And as they are by far and away the main clients, it is also somewhat inevitable that environmental lawyers should end up serving such a master, short of dedicating themselves to something higher than purely material affluence. It is an a more or less inescapable consequence of passing environmental regulation that corporations will expand their environmentally destructive activities to the maximum permitted within the law. This happens for two reasons, both of which are entirely rational responses to the system as it exists. The first is that the primary legal obligation upon directors is to maximise profits on behalf of shareholders. In most circumstances this places them under a duty to avail themselves of any lawful opportunity to cut costs and so maximise profits. Obviously it is always less costly to commit environmentally damaging actions than to mitigate them, provided it can be done lawfully so the business responsible is not going to end up in court facing fines and clean up costs. Note, though, that even when it does it may still be the rational choice provided those costs amount to less than the saving made in operating costs, or if the risks of a successful legal action against the corporation are small enough to objectively justify the risk. The second is that to maximise profits, corporations must out-compete their rivals. So two things can happen. A business may seek a competitive advantage by reducing the costs of mitigating its environmental impacts: as a consequence of becoming dirtier than its competitors it is able to undercut their prices in the market and increase market share; also by becoming a better proposition to investors as a result of its improved competitiveness and profitability it can improve its capital position, which can then be employed to relative advantage. Alternatively if a business does not take the lead in this way, it will normally be compelled to follow down the same route anyway in order to remain competitive with rivals who are not so environmentally scrupulous. Thus it is almost inevitable that when regulations are set corporations will take up any slack they are allowed. With very few exceptions it is an entirely predictable and perfectly rational response that they do. For those reasons, exactly the same response can be anticipated to the criminalisation of ecocide under the terms currently proposed. To the extent that they can control their impacts, corporations will expand the scale of their operations to the maximum allowed under the terms lifted from ENMOD, after allowing what they will evaluate as an adequate margin for error, carefully calculated using risk assessment techniques. Where an activity would exceed the astonishingly generous spatial limit proposed, the response will simply be to carve it up into a number of discrete projects, judiciously separated in time and space, so that each one remains lawful under the ecocide measure. Clearly this is the very opposite of what is required, and what is demanded in response to our plight. It will not curb corporate excess, or to the extent that it does so, it will only do so marginally. The flow of environmentally destructive products and services will continue more or less unabated, so consumer behaviour will continue just as self-destructively as before. As a concept, the criminalisation of ecocide is essential. In the form it has been proposed, it is a dream come true for the corporate world. To grant corporations exactly the same rights to 'modify' the environment as military forces at war is an astonishingly misplaced idea, and the very opposite of what is called for. Perhaps it is easy to overlook that the defining purpose of the military is to kill and maim in large numbers and to destroy physical matter of all descriptions - including ecologies - on a vast scale when considered necessary, and often quite indiscriminately. In most cases it does so entirely lawfully - at least under the dominant legal system which prevails, Iraq 2 being an exception. It should not be forgotten that the law in this respect is so powerful that members of armed services may find themselves legally compelled to carry out the most horrendous acts absolutely against their conscience and may possibly face death - lawfully executed - for failing to do so. Why, then, are environmentalists campaigning to hand corporations the implied right to cause equally as much environmental damage, in peacetime, just to make a profit? The scale on which it is proposed that this be allowed is also stupefying. Allowing corporations the right to destroy the environment on an equivalent scale to military forces appears particularly misconceived (unless you are a shareholder and care for nothing other than your own wealth and comfort, in which case it may seem a splendid idea). The effect will be to legitimise ecocide on a scale that is anything less than 'hundreds of square kilometres', whatever that may mean. The term was almost certainly deliberately ill-defined in relation to ENMOD (assuming that to be its source) for reasons of diplomacy, to allow enough wiggle room so that perpetrators could be allowed to evade sanctions where that is thought to be politically or strategically expedient. Just as with existing crimes against peace – Augusto Pinochet walked free; Saddam Hussein didn’t. Acts as outrageous as the bombing of Dresden and the battlefields of the Somme would probably be entirely legal under the terms ascribed to ENMOD. To propose the same, entirely unbidden, for corporate acts seems to be an own goal of gigantic proportions. Spatial limits are really not difficult things to define more precisely. The ultimate tragedy is that had corporations been invited to name their own terms, they would never have dared to have demanded nearly so much. Certainly not equivalence with the military, not out of fear, but certain knowledge of the public opprobrium they would draw down upon themselves. Or at least they would not have done openly - what happens behind closed doors is a secret known to very few. Yet this being handed to them on a plate: that corporations can cause equally as much environmental damage as the military. Voluntarily and entirely spontaneously. As a gift from the blue by its opponents, in a well-intentioned effort to curb the very thing it will encourage. That is why the champagne will be flowing royally in corporate boardrooms up and down the globe. In some circumstances it seems you just can't loose. Thankfully, though, the situation is not irretrievable. It merely calls for better conceived terms to be substituted. A discussion of that must wait for another occasion. More generally it calls for some serious work to be done on the translation into policy before this campaign is taken further forward. Properly framed, the criminalisation of ecocide can make a critical difference in reshaping society, and that is what must now be delivered. This is just a quick posting to flag up the excellent coverage given to ecocide mock trial which took place at the Supreme Court in London on 30 September. Pride of place has to go to the Guardian as it includes a stupendous 6 minute video which really conveys the import of what transpired and the critical moments of the proceedings. The mock trial received surprisingly positive coverage in no less than the Financial Times, as well as the Independent, having also been previewed by the Guardian here. It prompted an excellent discussion of the crime of ecocide in CNBC Business. The trial received coverage in various corners internationally, including Brazil, France, Germany, the Netherlands, and, of course, cyberspace. Links to all of these can be found on the Eradicating Ecocide website. It seems reasonable to conclude that if a newspaper with the gravitas of the FT is prepared to devote the attention of a journalist for the best part of day to such an event, the campaign to criminalise ecocide is beginning to make an impression in the high places where power resides. And clearly many other places besides. So says Bianca Jagger in her endorsement of Polly Higgins’ book, Eradicating Ecocide. And rightly so. If corporations are not immediately reined into prevent them from persisting in acts which, directly and indirectly, are the primary causes of our global ecological meltdown; in continuing to maintain and aggressively promote a corporate and societal culture which prioritises profits over all other concerns and obligations so as to be able to persist in perpetrating those acts to those ends, then we must anticipate a substantial destabilisation of the biosphere in the not too distant future, one which will make life untenable for many species and cause immense, almost unimaginable, human suffering. Be that as it may, we already know far more than enough to be certain that the corporate world will oppose the criminalisation of ecocide to the absolute limits of its power, a power which in practice appears almost irresistible. The evidence for that is overwhelming - it is irreconcilably hostile to any limitation placed on its freedom to operate and resists implacably with every means at its disposal. Ever since they were introduced, it has been waging a concerted and heavily-resourced war of attrition to roll back the advances made in environmental protection in the second half of the last century. By now it is quite clear that it is winning substantially. We simply could not be in this most dire of predicaments were that not true. On every front, in every aspect of our multi-faceted environmental calamity, be it deforestation, greenhouse gas emissions, loss of biodiversity, water, soil or any other you care to look at, the damage is being done, facilitated and enabled by corporate activity, and almost always on a scale which is still ramping up despite the known impacts that will result and their indisputably disastrous consequences. Yet in every example, almost without exception, you will find that all attempts to stop, limit or mitigate the damage and its consequences are being powerfully opposed by the corporate lobby, almost always by the very corporations which undertake the activities concerned and profit by them. There are some noble exceptions, it is true – Patagonia being the most outstanding example, the principled companies aiming to be a part of the solution rather than of the problem - but most are minnows in the grand scheme; the general picture is as described. Environmental protection measures have been under constant attack on every front: the doctrinaire, alarmist and irrational - that things will go very badly economically and hence very badly in general if market forces are not allowed free rein; direct attacks on legislation and the legislative process pressing for the watering down or repeal of existing measures and opposing new proposals; undermining the credibility of the scientists whose work underpins environmental regulation, and, most notably over climate change, well-documented attacks on the science itself via devices which employ bogus institutes, maverick scientists and pseudo experts to mislead and bamboozle the public; by drawing the teeth of regulators through similar assaults on the regulatory bodies concerned, attacking their funding or even their very existence (currently on the Environmental Protection Agency no less), through tying up their limited resources in legal challenges, or merely by being able to intimidate them into submission using the probable costs should they decide to so challenge. Lobbying funded on an gigantic scale, together with the manipulation of public perceptions through the mass media are ubiquitous weapons in this war, and the influence now wielded over politicians, particularly those in power, seems to have reached a degree where their independence and representational purpose is very seriously in question. One has only to look to what is currently unrolling in America, the extraordinary transformation of President Obama, The Citizens’ United decision by the Supreme Court last year (covered by Common Cause here and here, and by the New York Times here), and the assault on the continuing existence of the EPA to see how things panning out. Whether we ever lived in democracies is open to question; what seems clear is that in practice the dominant powers in the developed world have now morphed into corporatist states and superstates, in which the superficial trappings of what was never anything more than what is euphemistically termed 'representative democracy' have become a mere puppet show to distract an impotent and gullible populous, deliberately hypnotised by a constant stream of diversions and banality; a populous which has been intentionally socialised and educated to be incapable of thinking sufficiently deeply to comprehend the issues, what is happening, how it will affect their lives and their families, to even take an interest in its own vital interests, let alone react intelligently to what it perceives, while remaining emotionally incapable of doing so anyway, should that unlikely occurrence actually happen. That our collective response to climate change can objectively be described as insane would alone seem to prove all of this beyond dispute. So the corporate world as it currently exists will never be anything but implacably hostile to the criminalisation of ecocide, be its opposition overt or covert. Its credo is the entirely unfettered, globalised free market, where all and everything is decided by market forces and nothing else, where everything is commoditised without exception. If we still have a regime where the costs of environmental impacts can continue to be externalised and discounted more or less totally, it is no accident. It is the result of sustained, massively resourced and extremely sophisticated politicking by the corporations, conducted over very long time frames and on a global scale, and which continues with increasing vigour even now, as we watch our future (or at least a benign one) slipping relentlessly into oblivion. Yet, bizarre as it may seem, to the extent that the corporate world can ever be reconciled with the prospect of criminalising ecocide, once it has understood the terms it is being offered, the corks will be flying in boardrooms around the globe. The reasons for this unlikely and counter-intuitive conclusion must wait for the next substantive post - the one immediately following being a quick update on coverage of the mock trial, which seems to have been very well received. It is transparently obvious that if we do not rein in our impacts on the biosphere in very short order, the prospects for humanity and more or less everything else living are very grim indeed. Unfortunately nothing of consequence is happening on this front, as our emissions rise daily and our destruction of the biosphere continues apace to satisfy the perceived needs of what is sometimes referred to as the ‘human project’ but may more objectively be described as the consumer or civilisation project. That the global community is rendered absolutely impotent in the face of a known, unprecedented, irreversible, and life-threatening danger is a measure of the catastrophic failure of governance globally (the way in which we govern ourselves or are governed, as you will) that is taking place. At all levels this has proved itself totally dysfunctional in its attempts to evaluate and address the trajectory on which we seem stubbornly and obstreperously stuck; absolutely unable to respond rationally to a fundamental change in paradigm resulting from radical advances in scientific knowledge. Instead, its institutions have drifted along in the old model, unable to cope, clinging to bankrupt values which are transparently untenable, as if ignoring our predicament will somehow cause it to spontaneously evaporate. It is entirely clear that the only way to address the ecological disaster unfolding in excruciatingly slow motion is to cut back radically on activities giving rise to the damage, and as a matter of the utmost urgency. But so far all attempts to do this have foundered on the cross of economic ‘imperatives’ and political expediency. Governments having failed, lamentably it has fallen to individuals to take this imperative expedient forward. Polly Higgins is an exemplar for us all: a barrister who has renounced a promising career and the secure and comfortable life which is the natural corollary to such a calling, to dedicate herself absolutely to the cause of saving the world from ecological catastrophe. If everyone would only recognise that life changing decisions and a certain measure of renunciation are demanded of each one of us by the perilous position we find ourselves in entirely as the result of our own folly, how different our prospects would be. Recognising the urgency of the need to address the immediate causes, last spring Polly lodged a proposal with the UN Law Commission calling for ecocide to become the fifth crime against peace, alongside the existing crimes of genocide, crimes against humanity, war crimes, and crimes of aggression. These crimes against peace are international and can be tried by the International Criminal Court. She followed up with a book entitled Eradicating Ecocide published last September, which quickly found its way onto the syllabus of various law schools internationally. Since, the campaign has been gathering pace in many quarters, resulting in speaking engagements and tours on various continents. This Friday, 30 September, the world’s first trial of the crime of ecocide will take place at no less a venue than the Supreme Court in London. This is a mock trial, obviously, designed to illustrate how the crime of ecocide would work in practice should it become law. Anyone willing to chance their health in the hazardous airs of London can attend, though space is limited so the advice is to arrive early, although the trial will also be shown on CCTV in the lobby of the court. Happily for those not inclined to run up the carbon, the trial will be televised on Sky News, enabling anyone, anywhere to have a virtual presence. All this is very good news indeed. That notwithstanding, there remain a couple of serious loopholes in what has been proposed which render it questionable as to how effective the crime of ecocide would prove to be as currently put forward. The aspiration is that the next two posts will deal with those, in the hope that by so identifying those weaknesses, they can be addressed before the crime of ecocide becomes set in law. For there is unlikely to be a second chance at this, and it is vital that it should work - for all of life. Every now and again research is published which changes our understanding so significantly that nothing less than a complete revision in thinking is required. When that happens concerning climate change, nothing less than a complete revision of our responses to it is demanded too. Such a research paper was published three days ago, one which rewrites the bleak prognosis for climate change yet more grimly. The paper, entitled Amount and timing of permafrost carbon release in response to climate warming compels a complete revision of our assumptions concerning the continued human emissions of greenhouse gases. That means of the fundamental assumptions which underlie the UNFCCC climate change negotiations internationally, and the actual and planned responses by government at all levels, globally. The reductions so far envisaged, already inadequate to avert catastrophe, must now be revised down yet further and all responses, at every level, must follow suit. The paper deals with the vexatious issue of the melting of permafrost – which we know very well is already happening because of its very visible effects, including those on the infrastructure. The key finding is that a positive feedback, the permafrost carbon feedback (PCF) operates, by which the greenhouse gases released by the melting permafrost cause the temperature to rise, thus melting more permafrost, releasing more greenhouse gases, and so on. be strong enough to cancel 42-88% of the total global land sink. The source of this unwelcome news is impeccable: joint research between the National Snow and Ice Data Center and the National Oceanic & Atmospheric Administration, two organisations at the pinnacle of climate science with unimpeachable credentials. This may look flaky, but don’t be fooled. It is as hard as they come, thumping home the facts with the sequential subtly of a pile driver. Although scripted before COP16 in Cancun, anyone believing the Cancun Agreement renders its message irrelevant need only consider that, even after the accommodations made, we remain on course for temperature increases of at least 3.5ºC on International Energy Agency figures. Anyone who views this as a success is referred to Six Degrees by Mark Lynas, winner of the Royal Society Science Books Prize in 2008. It’s not often one receives an email from a head of state asking you to give them a call, but that’s what happened yesterday, even as the Ed Miliband story was being posted up. Turns out to be from none other than Gordon Brown, the british prime minister, who has approached the pp (and no doubt many thousands of other people) looking for mass support for a bold stance at Copenhagen at the end of this week. So he has teamed up with AVAAZ to do what must be the first prime minister’s mass phone call in the uk, which is happening tomorrow at 16:30. That may not be quite as uplifting for the ego as a personal email and personal call, while the chances of actually getting heard are probably still in the order of 10,000 to one, or more ephemeral still. Yet it is still quite something politically. So here’s the email in full so anyone who might want to add weight to this can hook up with the PM in person. Must be worth the effort. The more support Gordon Brown has over climate change and the more radical he can be encouraged to be over what he is prepared to put on the table and the solutions he is prepared to back the better, and the greater our not particularly sparkling chances of turning climate change around. Subject: Could you give me a call? I’ll be heading out to Copenhagen for the climate change conference soon - but the part I’ll be playing there is bolstered by the difference you and thousands of other people are making by taking part in Ed's Pledge. That’s why I’ll be taking part in a mass phone call in association with Avaaz this coming Wednesday (16 Dec) at 4.30pm – taking questions, listening to people’s views and making sure that the opinions of people across the country get a hearing at Copenhagen. Ed has been keeping me up to date with the Ed’s Pledge campaign and I wanted to thank you for all the work you’ve been putting in. The thousands of letters to l ocal newspapers, the thousands co-signing Ed’s letter to David Cameron and all your efforts to spread the word about climate change have truly been a sight to see. People can’t be spectators to important events – the power to change the world comes from people working and fighting for what’s right together. Here's an email sent this weekend to Ed Miliband, the lead UK minister for climate change, taking issue with his view that it is "outrageous" to suggest that what little remains wild in Britain should remain so. Ed in general has been doing an outstanding job on climate change. Most impressive and more or less unique is Ed's Pledge, his on-line campaign to build the critical mass of support needed to get the right result from COP 15 in Copenhagen. However he has somehow not yet fully grasped the biodiversity arguments. Instead he has managed to come to the conclusion that what little remains wild in the uk should be sacrificed to windfarms and the like to meet consumers' insatiable demand for cheap energy. Anyway, read on for the arguments. add your comments and send it to "Ed Miliband"
In closing, should add that this is not a foray into politics. Just an exercise in rationality, attempting to reason objectively with those so engaged. Congratulations on Ed's Pledge and the tremendous work you are doing, especially in respect of COP 15. Sorry to have to come back to you on this at a supremely busy time, but there is a fundamental flaw in the thinking here, and one that could prove fatal. Ken Clarke was right on this. It is not a question of nimbyism, bourgeois values, or sentimentality. It is the indisputable fact that wild places and undisturbed ecologies are absolutely essential for our survival. Simple as that. Because they provide the ecological services on which we all depend for our existence. The various environmental crises which confront us so forcibly are simply the result of having failed to respect that immutable fact. The underlying reason for our current plight is that we have commandeered massively more than our sustainable share of the wilderness to serve our perceived (and often highly questionable) needs. James Lovelock calculates that sustainability requires leaving no less than 90% of Earth in its natural state, entirely uninterfered with by human activity. Instead, the entire UK has been so modified and subordinated to human desires that there remains no wilderness to speak of, very little in the way of wild places, and the vast majority of the land mass is altered massively and detrimentally to serve human demands. The solution to climate change is not to still further compromise or destroy those last remnants for the purpose of meeting demands that are grossly inflated by our refusal to accept our ecological limits. That is the critical mistake in your thinking. In reality that is to add one of the final nails to our coffin by further undermining ecological integrity and the planetary life support system as a whole - which can already be seen on many measures to be approaching collapse. All in the perceived furtherance of living standards which are the root cause of the problem in the first place. Thus terminates our viability. Its is as flawed a logic as to conceive the solution to be cutting down what remains of the Amazon rainforests to provide fuel to meet our energy requirements. Or to put up wind farms, for that matter. It would the same process. The only difference is that the UK is more advanced in the delivery than the Amazon nations. If one of the richest countries in the world is not prepared to relent from subjugating all of nature to economic ends it renders bankrupt your negotiating position towards the developing countries - especially in respect of REDD, and indeed in the maintenance of ecological integrity generally. You can hardly expect the developing nations with their real and pressing needs to accept what you consider to be 'outrageous' when merely suggested for the UK. And if we do not have ecological integrity we have nothing, for on that everything depends. Yet the importance of REDD must already be clear to you. Similarly the critical role of biodiversity. The Executive Secretary of the Convention on Biological Diversity has already stressed that biodiversity is part of the solution to climate change; that healthy terrestrial and marine ecosystems are essential to the health of the atmosphere; and at COP 15 he has submitted a further expert report driving home that critical message. Vital, then, that you appreciate wilderness is absolutely essential, and not a luxury to be traded away. To solve climate change and our other ecological crises we urgently need more, not less. And every nation has an inescapable duty in that respect. To this end, please recognise the pivotal importance of large scale ecological restoration, as exemplified astonishingly by the Chinese on the Loess Plateau - an area the size of Belgium - and the groundbreaking work of John Liu at Rothansted. And please understand that the world will no longer accept the implied imperialism in expecting the developing nations to deliver the ecological services which the UK considers completely dispensable on its own turf, and is prepared to undermine absolutely in the furtherance of preserving its standard of living. So it is critical that you re-evaluate and take this on board urgently, even as you are in the process of negotiating the Copenhagen Treaty. It is absolutely vital that it is understood. By you. By Gordon Brown. By the other world leaders. And by everyone else involved in the negotiations. The answer to climate change is not to complete the historical process of subjugating all of nature to meet human desires to provide more and yet more again. That is the endgame in our current and historical trajectory, and it ends - inevitably - in our self-destruction. It is have the wisdom and humility to learn how to live well and happily within our ecological limits. Which is what we are now called on to do. That must mean valuing, protecting and restoring natural ecosystems over our more frivolous and debatable needs - even our indulgent, inflated demand for cheap energy on a massive scale - as well as getting back to real values. We have no choice in this. You can negotiate all you like with each other, and for as long as you wish. But there can be no negotiating with Nature. And we can but accept her timing, or be swept away. Canute showed that a long time ago. Please do not make the same mistake. Have the vision to re-evaluate now and rise to a pivotal role in changing perceptions - and in pulling us out of the fire. That's Ed's Pledge. Thank you for it, profoundly. Wishing you the absolute best for the rest of the summit. The importance of wilderness is far more eloquently argued by The John Muir Trust, the leading British actor in this field, which has been promoting the re-establishment of wilderness in the UK for over 20 years, and putting it into practice on its own lands and by assisting others similarly moved. Becoming fluent with their thinking would add new dimensions to your understanding and vision both domestically and internationally, and is most highly commended. Last week it was a backbencher, today it's one of the most important shadow cabinet members undermining the fight against climate change. Last week I told you about a backbench Tory who said those of us concerned by climate change were part of a 'lunatic consenus'. Over a thousand of you wrote to your local newspapers, letters were printed in newspapers across the country and we made it clear that the public have had enough of climate change deniers. To all of you who wrote, thank you. But today I'm writing to you again with worse news. Ken Clarke - one of the most important and best known Tories - has gone on record today opposing wind farms, saying: "My view is that those few wild and open (land) spaces that we have left in Britain should not be used for wind turbines." I've decided to write personally to David Cameron, asking him to overrule Ken Clarke and make their policy clear. I'm going to deliver the letter tomorrow morning but need your support if it's to have impact. Ken Clarke's comments are outrageous and have an immediate effect of putting off investors and stopping the creation of green jobs in our renewables industry. If one thousand of you sign this letter with me TODAY it will have much more media impact and show Ken Clarke that the British public want their politicians to take climate change seriously. Let's send another clear message that those undermining the fight to combat climate change will be challenged every step of the way. PS – Once you’ve signed the letter please forward this email to your friends and ask them to sign as well – the more of us there are, the stronger we are. After a huge effort by people who've signed up to the Ed's Pledge campaign, the Guardian has reported that Ken Clarke has retracted his comments calling for an end to the building of windfarms on land. Yesterday was an incredible victory for everyone who’s signed up to the campaign. We set a target of getting 1000 signatures for my letter to David Cameron - you broke it within an hour. We set another target of 2000 signatures - you broke that too. Right now over 3000 of you have signed with more still coming in. Winning arguments like this makes a differ ence. Climate change is too important to be left to be dealt with by people who resist the low carbon technologies of the future. You showed that the power to make a difference lies with thousands of people working together. The more people we get involved in our campaign, the stronger each of our individual voices become. So I'm asking you, with 46 days to go until the make-or-break Copenhagen summit, to bring more people into this campaign. Today’s victory shows that, together, we really can make change happen.